Utah Royals FC is bringing new meaning to building from the back this offseason. 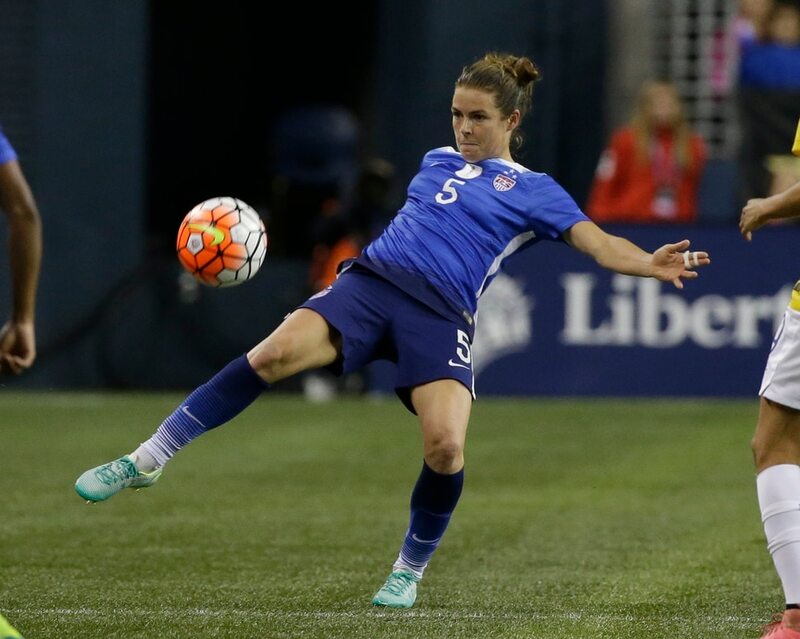 The new NWSL team has added a second U.S. women’s national team defender to its roster, acquiring Kelley O’Hara in a trade with Sky Blue FC, the Royals announced Friday. Along with O’Hara, Utah received midfielder Taylor Lytle and the 25th pick in this year’s NWSL College draft. In return, the Royals sent forward Shea Groom, defender Christina Gibbons and their fourth overall pick to the New Jersey-based club. The trade puts her on the same back line as national team teammate Becky Sauerbrunn, a former FC Kansas City player who announced her commitment to the Royals last week. The Sauerbrunn-O’Hara combination has proven to be a potent one on the international stage. O’Hara also has plenty of experience at forward and midfield. General manager Craig Waibel told the Tribune that he expects the team will take advantage of that versatility out wide. 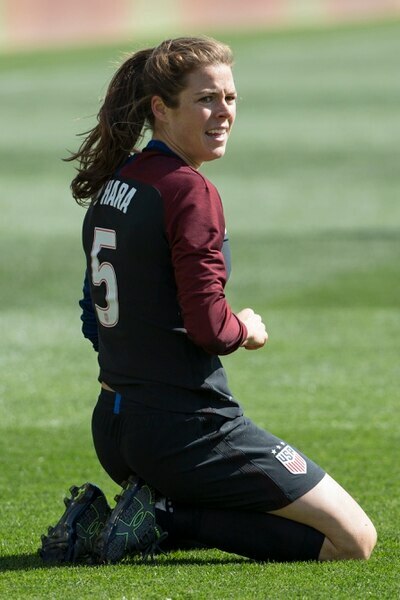 O’Hara, 29, has earned 102 caps with the United States. 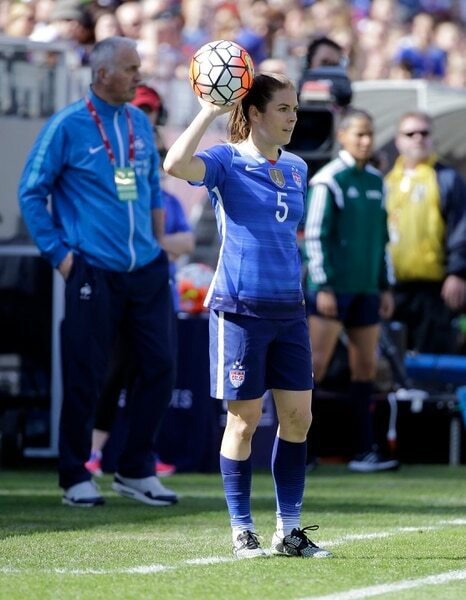 In 2012, the USWNT moved her to left back for the first time in her career, and the experiment paid off. O’Hara tallied five assists in 26 appearances that year, all but one of which was a start, proving her ability to push up the line and get involved in the attack. That same year she traveled to London with Team USA, where she was one of three players who spent every minute of the United States’ gold medal run on the pitch. The former Stanford Cardinal and Hermann Trophy winner has played for Sky Blue FC since the league’s inaugural season. She has scored 15 goals in 75 matches in those five years. O’Hara’s addition — both for her style of play and the timing of the trade — reflect coach Laura Harvey and Waibel’s possession-based soccer philosophy. Lytle, 28, also has spent the past five seasons with Sky Blue. The former youth national team player had five assists in 20 starts this year. In addition to the Royals’ acquisitions from this trade with Sky Blue FC, Utah holds the rights to defunct FC Kansas City’s former players. Sauerbrunn was the first, and so far remains the only player from that squad to announce her commitment to the Royals. A veteran international• The U.S. women’s national team defender has earned 102 caps, with her first call-up to the senior team training camp in 2007. She was a member of both the 2015 World Cup championship team and the 2012 Olympic gold medal-winning squad.